What Is Dysphagia and Is It Common? Dysphagia is most closely associated with trouble swallowing, but it can impact other related functions. Dysphagia can cause trouble eating, drinking, swallowing, sucking, and even simply protecting the airway from saliva. I Suffered a Stroke… Why Can’t I Swallow? 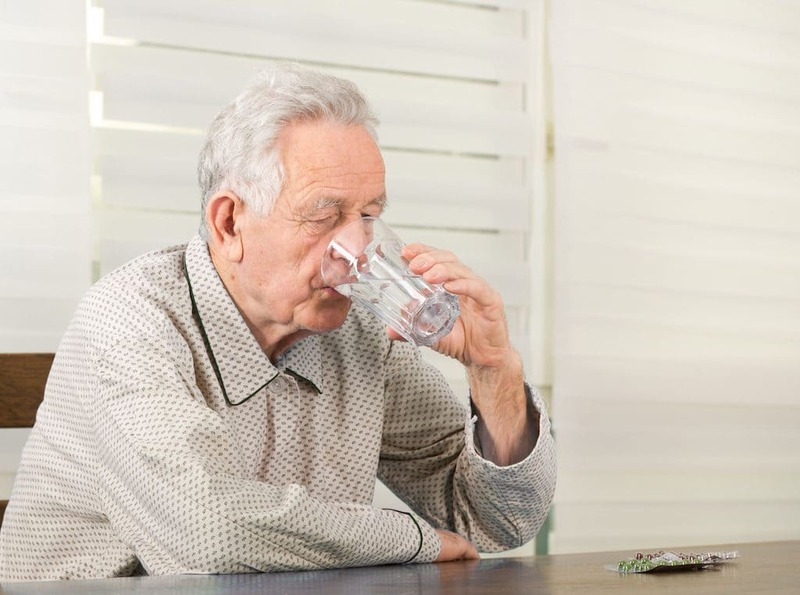 Swallowing seems simple to people at full health, but it can be extremely difficult if the muscles used in the process are weak or uncoordinated as with what occurs often with a stroke survivor. A stroke can negatively impact the part of the brain that controls the swallowing muscles. Additionally, even if the swallowing muscles were not directly impacted, a stroke can interfere with other motor function that themselves impact swallowing. For example, if a stroke has left a survivor unable to sit up straight, swallowing will consequently be more difficult to do comfortably. Outside of a few special cases, dysphagia is often temporary and most dysphagic stroke survivors recover fully. Working with experts, like dieticians and speech pathologists, can help survivors manage their dysphagia and improve their ability to swallow safely. Additionally, a dietitian can help ensure the patient is eating the right foods, as some types of food and drink (for example, hard-to-chew foods and thin liquids) are more difficult to swallow than others. Survivors with dysphagia commonly suffer the stroke complication of aspiration, or the inhaling of food and drink. When a person aspirates, while they are swallowing, whatever they are trying to swallow accidentally enters their airway and lungs. In healthy individuals, this typically triggers a coughing reaction, but in the case of a stroke survivor, sensation is often reduced and the cough reflex does not always present itself. As a result, food or drink ends up in the lungs, sometimes without the survivor even knowing it, a phenomenon known as silent aspiration. What Are the Possible Dangers of Aspiration? The immediate danger of aspiration is coughing or choking. As food or drink “goes down the wrong pipe,” coughing both signals there is a problem while expelling the material from the airway. However, some stroke survivors have decreased sensitivity and cough reflex, and can choke. If food or drink does enter the airway, beyond the initial risk of choking, the patient is at a longer-term risk of a chest infection or pneumonia. Who Should I Consult If I’m Worried about My (Or a Loved One’s) Ability to Swallow? Any problems or concerns with swallowing should be discussed with medical professionals. 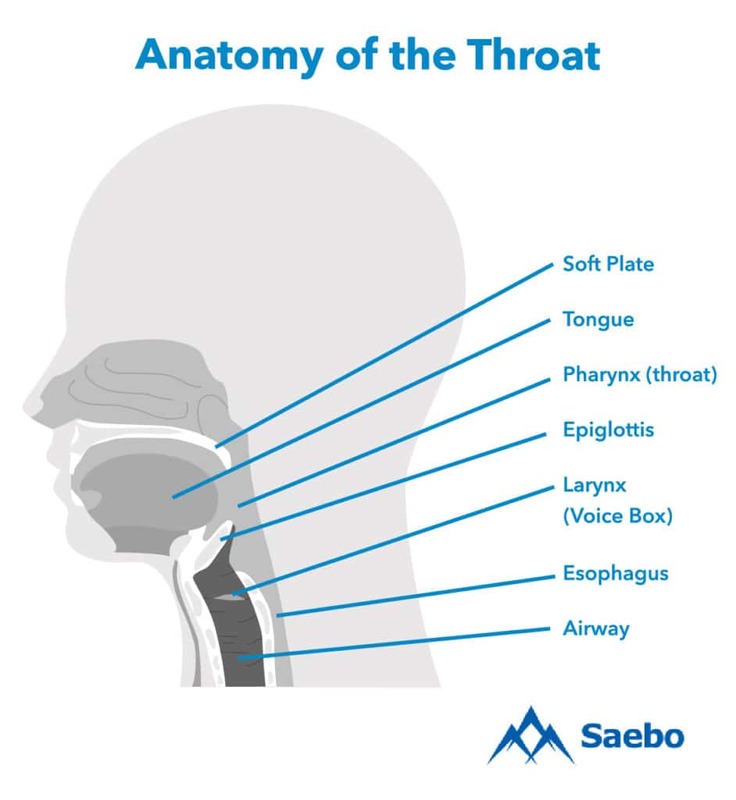 In most cases, dysphagia is diagnosed and treated by a speech pathologist. 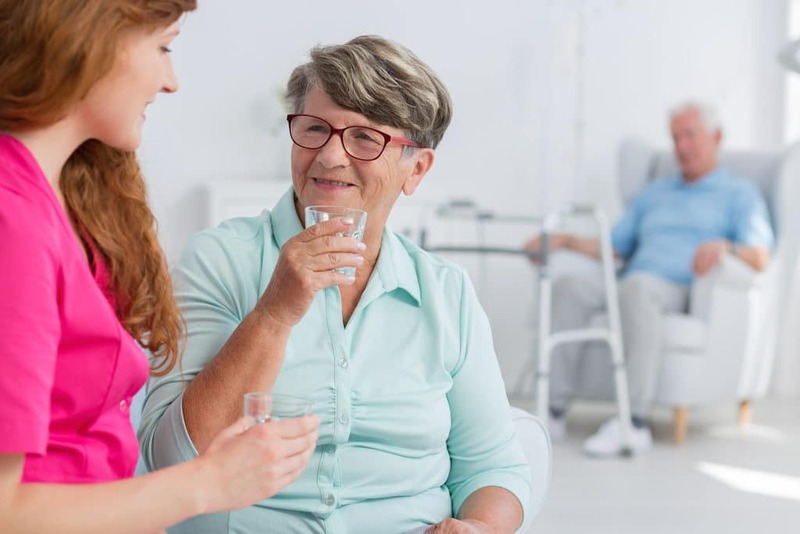 A speech pathologist will usually conduct some sort of swallowing test, to assess the ease and ability of the patient to swallow without choking, and make recommendations from there. How is Dysphagia Treated and Managed? Yawning: This action promotes upward movement of the larynx (voice box) and the opening of the esophagus. Open jaw as far as you can and hold for 10 seconds. Rest for 10 seconds. Do 5 reps 2 times per day. Effortful swallow: Improves movement of the tongue base and pharynx (throat). As you swallow, imagine you have a golf ball stuck in your throat. Squeeze as hard as you can with your throat muscles. Do 5 reps 2 times per day. Mendelsohn: Promotes movement of the epiglottis. Improves the function of the larynx and strength of the esophageal opening. Swallow and hold halfway through swallow (at highest point) for 1 to 2 seconds. Finish swallowing. Do 5 reps 2 times per day. Resistive tongue exercise: Improves tongue strength and control of food and drink. Push tongue hard against roof of mouth. Push tongue hard against each cheek. Push tongue hard against a tongue depressor or spoon. Hold for 10 seconds. Do 5 reps 2 times per day. Tongue hold (Masako Maneuver): Helps strengthen tongue muscles needed for swallowing. Swallow while holding your tongue tip 3/4 of an inch outside of your teeth. If this is too hard, push tongue firmly against the roof of your mouth while swallowing. Do 5 reps 2 times per day. Shaker: Improves the movement of the epiglottis and strengthens the opening of the esophagus. Also promotes upward movement of the larynx. Lie on your back, keeping your shoulders flat on the ground. Raise your head far enough to be able to see your toes and hold for 1 minute and then rest. Do 5 reps 2 times per day. Epiglottic control: Improves airway protection when you swallow. Open your mouth wide. Exhale the air from your lungs, but do not allow any air to escape from your mouth. Your airway should remain closed. You will be exhaling against a closed throat so air cannot escape. Hold for 10 seconds. Do 5 reps 2 times per day. What Should Caregivers Know About Dysphagia? 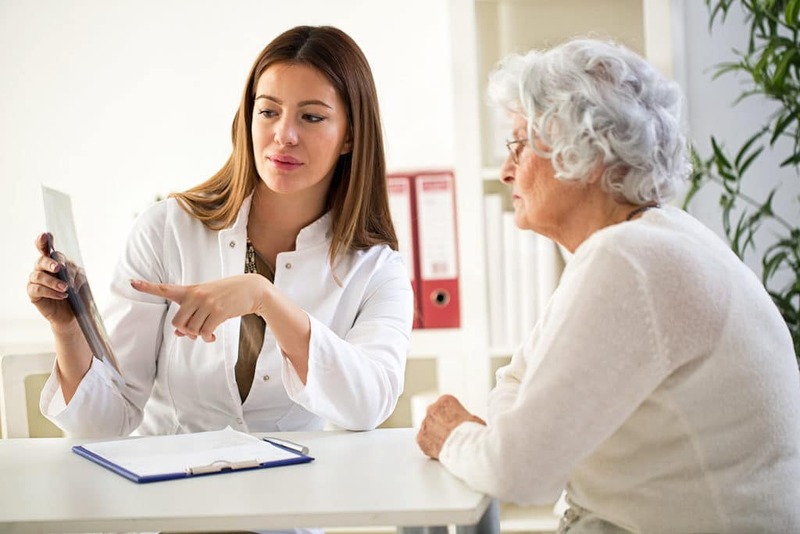 Survivors should talk to their speech pathologist and dietician with caregivers present, so the caregivers are also made aware of the treatment plan. Caregivers should keep an eye out for any adverse conditions (e.g., weight loss) and report any to the recovery team. What Are Some Quick Tips for Safe Eating and Drinking? Thin or watery liquid foods, like tea, soup, and juice. High-fiber foods that don’t break apart easily in the mouth, like seafood, root vegetables, and green leafy vegetables. Ingredients with low water content, like bread, potatoes, and cake. Sour or vinegary foods, like pickles or citrus fruits. Slow and steady wins the race with dysphagia– rushing to eat tricky foods, even if they are a survivor’s favorite, can trigger complications that only prolong the recovery process. Dysphagia is a frustrating and common complication of stroke, and survivors who experience it can be disheartened at first. However, with the right knowledge, mindset, support system, and stroke recovery expertise, a survivor’s dysphagia has every likelihood of improving. Here at Saebo, we are committed to stroke support and recovery for all survivors and their families. Saebo offers a wide range of products that combine cutting-edge technology with evidence-based rehabilitation techniques. Our offerings and network of Saebo-trained therapists can help you or a loved one to obtain all the necessary tools to maximize stroke recovery.